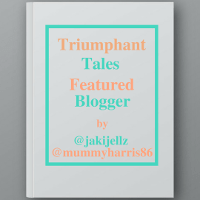 Jade & Mummys Adventures: Babyled Weaning or Traditional Weaning? So it’s been about a month and a bit since we started our weaning journey and I can honestly say I find it quite fun! Watching Jade enjoying all the new tastes and seeing the expression on her face if she’s not too sure is amazing. ﻿ When we were getting everything ready to get Jade… Continue reading Jade & Mummys Adventures: Babyled Weaning or Traditional Weaning? Morning guys! So since having Jade, the one thing I was so scared of doing was cutting her nails. My nails grow really quickly and so do hers, so I’m guessing she gets that from me! At the beginning, I needed to rely on babygrows that have the scratch mitts built in because she would… Continue reading Thank god for ‘BabyNails’! So busy but still here! **I’m currently using the Beta version of WordPress and it is shocking! I cannot upload any media to my post (apart from a featured image), categorise anything and the basic HTML is off. If you notice something odd please let me know! ** Hi guys! Just a quick one to say sorry for the lack of… Continue reading So busy but still here!